A 30p multi-vitamin pill could more than double a woman’s chance of having a baby, according to a study. It found that 60 per cent of those taking the supplements while undergoing IVF became pregnant compared to just a quarter who did not take them. Researchers say the pills contain nutrients that may boost fertility such as vitamins A, C and E, zinc and selenium, that are often absent from our diets. 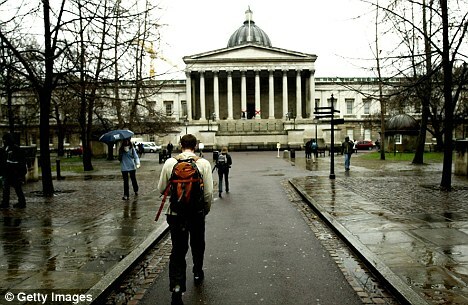 The study carried out at University College London involved 56 women aged 18 to 40, who had all tried unsuccessfully to fall pregnant using IVF for at least a year. Half were given a multi-nutrient pill to take every day and the other half given folic acid pills to take daily. The micronutrient pill also contained folic acid which prevents birth defects and has also been shown to help boost fertility. The team found that 60 per cent of women taking the multi-nutrients fell pregnant, and did not miscarry in the first three months when it is most common. This compared to 25 per cent of women in the group taking folic acid who were still pregnant after three months. The study published in the journal Reproductive Biomedicine also found that women taking the micronutrients needed far fewer attempts to become pregnant. Of those who fell pregnant, 75 per cent conceived in the first course of IVF. By comparison just 18 per cent of those on folic acid who became pregnant did so after the first IVF course. 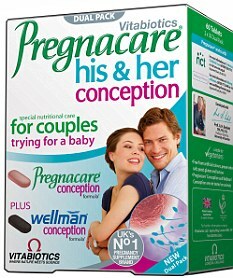 The particular pill, Vitabiotics Pregnacare-Conception,contains folic acid, vitamin B, vitamin E, vitamin A, vitamin C, zinc, selenium and some antioxidants. It costs just over £10 over the counter for a month’s supply. Lead researcher Dr Rina Agrawal said: ‘The implications of this study are far reaching as they suggest that prenatal micronutrient supplementation in women undergoing ovulation induction improve pregnancy rates. But other scientists pointed out that the study was very small so the results should not be taken too seriously. A woman’s fertility is known to be affected by a number of factors including her age, weight, alcohol consumption, whether she smokes. High levels of stress and even drinking too much coffee have also been shown to reduce the chances of falling pregnant.